Get ready for Ultrabook overload as second-generation versions of Intel's new ultraportable category begin rolling out to stores near you. Reiterating previous statements, Intel on Tuesday said more than 35 new Ultrabooks are available now or headed to store shelves in the next month. The company also expects 110 new Ultrabook designs to roll out in the next 12 months, 30 of which will have touchscreens. Intel made the announcements during Computex Taipei 2012 where the company gave a glimpse into the future of Ultrabooks. 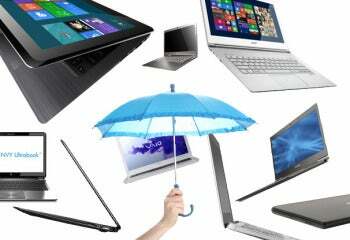 Intel mostly rehashed Ultrabook news and features we've known for some time. All of the new Ultrabooks Intel is expecting will be powered by third-generation Ivy Bridge Core processors. They also feature fast resume times (about 7 seconds) from sleep. Features such as Intel Smart Connect lets your laptop automatically update e-mail and social networks in sleep mode. Later this year, Ultrabooks will come loaded with voice command software from Nuance Communications allowing you to use your voice to launch apps, play local media, start an online voice chat, and search the Web. Touch-based Ultrabooks will roll out later this year, Intel said, probably around the expected October launch of Windows 8. But these models are just the beginning of a big Ivy Bridge-powered Ultrabook rollout. If you're in the market for a new ultraportable laptop, you might want wait and see what else computer manufacturers roll out over the next 30 days before grabbing a new clamshell.